Staying informed about what’s happening in the community is the first step to getting involved! Luckily, we compile useful content like blog posts, tech reviews, resource guides, and much more to make it easier to stay in the loop. View our full STAR archive here. 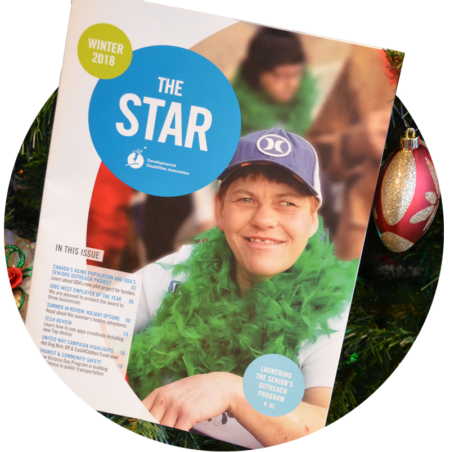 Each season, we churn out a little publication called the STAR Newsletter to help you stay up-to-date with DDA’s biggest events, news, and helpful tips! This is perfect if you want all of the highlights in one simple place, just four times a year. Can’t wait until the next STAR newsletter? We’ve got you covered. You can sign up for our latest news to receive the newest blog posts, tech reviews, and event info, hot off the press.